Following a competitive process, Metaphor has been appointed as the Interpretation and Exhibition Designers for City Hall and Perth Museum and Art Gallery. 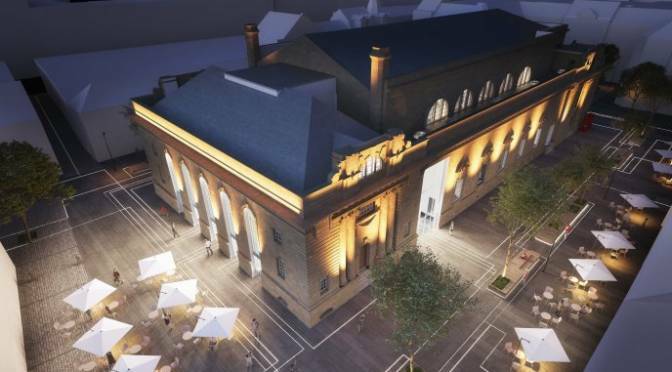 They will work with the architects appointed for the projects, Mecanoo and Hoskins Architects to develop stunning new interiors and exhibition spaces in both buildings and bring the stories of Perth’s Ancient Roots and its Modern Scots to life. Metaphor is a leading design practice in the cultural sector with a track record of major projects in the UK and beyond which include Shakespeare’s Globe, the Ashmolean Museum, major galleries in the V&A London and in the National Museums and Galleries of Scotland. It is currently developing the exhibitions for the proposed St Kilda visitor centre to be located on Lewis.